Are you getting lots of oils on the face? Oil on the face is a sign that you have oily skin. Such skin type is good in a way that lesser wrinkles are formed over the years. This means that your skin will stay younger lot longer. But on the downside, there can be blemishes, pores blockage etc that results in pimples, comeodone etc. So, how exactly you can tackle the oily skin. The process is simple but needs time and regularity. We can ensure that if you be regular with dealing the oily skin then the skin problems, oiliness will be greatly reduced. Oily skin can be more problematic for men sine men indulge in activities where they have to ride bike, roam in the sun, dust, pollution etc more than the girls. This is why oil skin care is very important for men too. 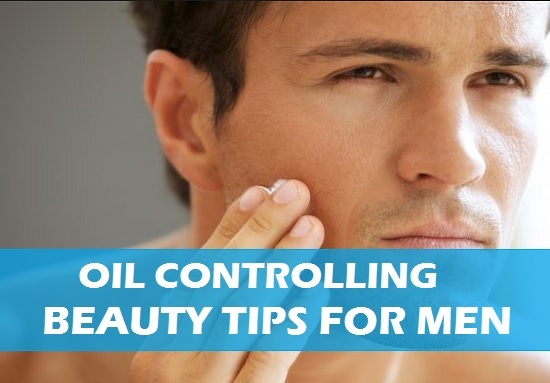 To take care of men’s oily skin, following the beauty tips for oily skin will be very helpful that can be done at home especially during the summer season. If we have to tell you in short the steps to keep the oily skin beautiful, then here are the basic steps for the oily skin acre routine that men can follow. Cleansing should be done at least 2 times in a day, once in the morning and then in the night with a good facial cleanser or a face wash for acne prone oily skin. For acne prone skin, Neem face wash, tea tree face wash or face wash with salicylic acid is the best. You may also use the soaps for oily and acne prone skin. Whether you pick a store bought face scrub or choose the home made face scrub but make sure that you at least scrub the oily face at least 2 times in a week. You can make it easier by remembering like that every 2 or 3 days you have to scrub the face. Scrubbing is the best beauty tip that any one can give you to control the oils and to keep the facial pores free from dead skin cells. Like we take bath and moisturize your face similarly face packs are important to take off tanning, give moisturization to the tired skin and rejuvenate it. You can use ready made face packs or homemade ones. These homemade face packs are great for combination skin as well with oily T Zone. Always use sunscreen when you go out. There are several sunscreens available that are suitable for men’s oily skin. These sunscreens will not make your skin more oily but will protect from skin darkening and damage. These were the 4 basic steps that you need to take. You can now customize which oil control face wash you need for your oily skin, which face scrub you will use readymade or the homemade one. Same goes for the face packs etc. These were the basics now, we will tell you natural ways to control the oils on the face. These natural tips are also effective to get rid of the oils on the skin. Papaya is good for controlling the oils, proving fairness and to get a smooth tan free skin. Papaya is rich in a very effective enzyme called papain. This enzyme is hugely responsible for the skin lightening, tan removal and skin brightening. This is why you must have seen that papaya is used a lot in some of the very popular skin whitening cream, beauty tips for fairness, natural skin lightening treatments etc. Papaya will give a mild chemical peel like exfoliation so that the skin looks oil free a lot longer. Moreover, Papaya will shrink the size of the pores and is ideal home remedy to treat the oily skin. To get a papaya facial massage at home you will just have to take a thin slice of papaya and break and mash that. Then apply this on your face so that the skin gets drenched with the papaya juice. Keep massaging with light hands using circular motions. Then you can keep this for 20 minutes. Wash the face with clear water. Multani mitti is known as fuller’s earth and this clay is very popular and easily available in India. This is because in India Multani is widely obtained naturally and this has several skin care benefits as well. Some people also use multani for hair cleansing as well. You can get multani mitti from a local shop as well easily. To prepare oil controlling facial packs with multani mitti, you will need 2 teaspoonful of multani mitti. Make a paste using either some milk, water or rose water. Choice is yours in this. Apply this paste all over the face so that the pack gets smeared evenly on the face. Then rinse the face after 10-15 minutes. In summers, for very oily, acne prone skin, this needs to be done daily. This will also remove the sun tanning. You can also mix some multani mitti along with some yogurt and make paste. Use this paste on the face then wash after 20 minutes. This yoghurt and multani mitti pack is good for fairness and oil control. Neem is efficient anti bacterial that makes the skin clear and free from pimples. Oily skin is prone to acne therefore, when taken good care of the oily skin, acne and pimples can be avoided. You can take a teaspoonful of Neem powder, 1 teaspoonful of multani mitti powder and put that in little bit of water. We need this to make paste of all these things. When a paste is made you have to apply that on the face. Wash after 20 minutes. This face pack will help to control the excessive sebum on men’s face. This can be tried 2 times in a week for best results in oily skin. Lemon juice and cucumber juice both have astringent like qualities. Due to that these will tighten your pores and makes the skin blemish free also. Lemon is rich in Vitamin C and cucumber juice is rich in minerals which will make it a great remedy to cure oiliness and reduce tanning on men’s skin. Just mix lemon juice and juice of cucumber in equal quantities. Then dip a cotton ball in that juice mixture and apply all over the face. Apply like as if you are smearing it on the face at night. Wash the next morning. Face masks can also be tried when the skin happens to be oily and prone to skin problems. Make sure to try these facial masks one in a week to give your skin boost of fairness and to get rid of the oils timely. When you remove the oils every now and then regularly then the skin become clear and stays clear. Face masks are very important part of your oily skin care routine. Fruits are rich in natural enzymes and acids that mildly exfoliate the oily skin and also keeps the skin clean. Fruit masks are always great for people with oily and combination skin. Fruits will minimize the skin pores and also clears the skin from the blemishes and acne. Using fruit face masks is extremely easy just follow a simple step and you will be goo to go. To prepare any fruit face masks, all you have to do is to take that fruit. Now, you can take any fruit like papaya, banana, apple, grapes, oranges, mango, watermelon etc. These are the popular fruits which are highly effective for the skin. Here’s the recipe for this oil controlling beauty mask. Take a small chunk of slice of any of these available fruits and mash them a little bit. After that apply that either directly on the face and rinse after 30 minutes. Or you can also try mixing 1 teaspoonful of honey in the mashed fruit pulp. Mix and then apply as a fruit face mask. You can use just one fruit or a mixture of 2-3 fruits as well. This next face mask is effective in controlling the oils and to keep the skin in good radiant condition. 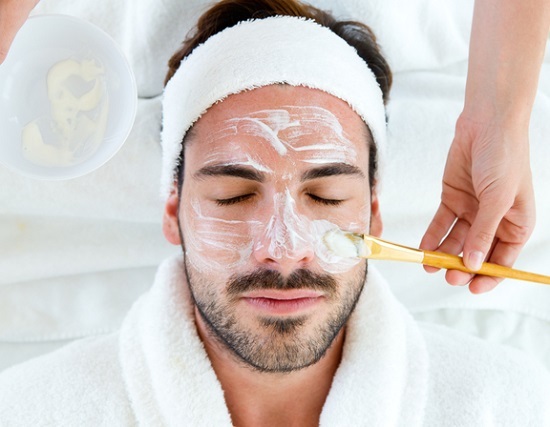 Men will find preparing homemade face pack and masks a bit hectic but this too is an easy homemade remedy to get rid of the oils from your face. You will have to take 1 teaspoonful and multani mitti and then take 1 teaspoonful of gram flour, also known as besan in hindi. Then mix these with the help of some rose water or just water. Make paste and evenly apply all over the face. Wait for 20 minutes then wash off the face. This facial mask is one of the best treatments to control the oils and sebum. When the skin is oily, then we have noticed that the skin gets dull and dark easily. This is due to the frequent oiliness on the face. Oils take away the beauty of a face. Thus, to remove the excessive oils that make your skin dull and dark in complexion, you should try a face mask for oily skin treatment. This honey tomato face mask with lemon is one of the best facial masks for oily skin fairness for men and women. You need some lemon juice and tomato juice. Cut a lemon in half and extract half teaspoonful of lemon juice. Then cut a tomato and squeeze it so that 1 teaspoonful of juice is achieved, you can take this out and use rest of the tomato for kitchen use. No need to waste any product. Add 1 teaspoonful of honey in the mixture of two. Apply like a lotion on the face and leave for 20-25 minutes, then wash the face. See the clear skin which looks oil free and fairer instantly. Cinnamon helps to scrub the face very gently and also kills the bacteria responsible for the acne problems in oily skinned men and women. Cinnamon is widely used in anti acne and anti pimple creams this is why we will be using this face pack with cinnamon to control the oils on the men’s skin and to keep the complexion clear.This is also a great oil controlling beauty tip at home. Take ½ teaspoonful of cinnamon powder. Mix that with one teaspoonful of honey. Mix and use on the face. Wash after 20 minutes. Try on alternate days. Oily skin also needs deep cleansing so that the oils can be controlled effectively. Mix equal amounts of besan with curd. Make paste by whipping it or using a spoon to mash and mix everything. Apply and allow this to get fully dried. Then rinse the face. You can use the coarse granular besan which is great for the oily skin use since that will also give a scrubbing effect to get rid of the oils and dead skin.